Opinion Shakespeare’s children: Should artists have kids? 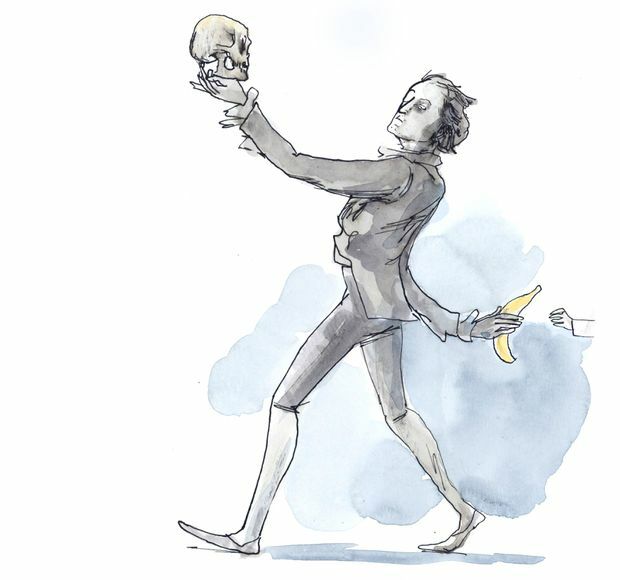 Shakespeare’s children: Should artists have kids? After years of grey deprivation during the Second World War, the British celebrated victory in yellow: Each child was to receive a banana. Among the lucky kids were the offspring of the novelist Evelyn Waugh, who first explained to his kin how to prepare this exotic delicacy: Peel it, then slice, add a drizzle of cream, a dazzle of sugar. At which point, he devoured all three bananas “before the anguished eyes of his children,” as one bitterly recalled in adulthood. This anecdote came to mind a few years ago, when I was approaching 40 and pondering a family of my own. One isn’t supposed to admit to driving ambition, but mine had commanded me through my 20s and 30s. My partner and I were aging out of parental contention. I’d long hinted that fatherhood wasn’t for me, but that had been misdirection. I did harbour pangs, as if shunning someone dear I’d yet to meet. Was I letting that person dissolve into non-existence? Look, I assured myself, plenty of writers have produced children and thrived. Charles Dickens sired 10. Then again, he was hardly the hugs-and-cookies dad of today. His wife did the child-raising, he did the page-filling – only for Dickens to then abandon his betrothed for a young actress. What, I worried, if a child ruined my writing? Worse still, what if writing ruined my child? To test my fear without taking a decision, I began writing a novel about a painter who subjects his child to the costs of a creative life. My research deluged me with cautionary tales about artists: craters where families had been, kids blighted, lovers oppressed. Consider Picasso. Once, while he was dallying with his mistress Dora Maar, his wife surprised them in the act (of painting). Picasso didn’t crumple in shame. He didn’t beg forgiveness. He made them fight for his affections. “So they began to wrestle. It’s one of my choicest memories,” he recalled, according to a subsequent wife. Reputedly, the sculptor Giacometti once deemed the hairstyle of his wife, Annette, to be distracting, so demanded that she shave her head. He bullied Annette until she, broken, submitted. But by then he’d overcome her; that was what mattered. Her hair stayed. Repellent egotism isn’t restricted to visual artists. The author V.S. Naipaul was notorious for cruelty to his wife, Pat, that perhaps hastened her death. When she was ill with cancer, Mr. Naipaul grew “angry that she was not dying fast enough because he wanted to carry on with his life.” Where does this damning claim come from? His current wife, Nadira Alvi, in the writer’s authorized biography. Or consider William Faulkner. When he was spiralling into another drinking binge, his 12-year-old daughter tried to intervene. “Think of me,” she begged. “Nobody remembers Shakespeare’s children,” he retorted. Yet we remember Faulkner and Mr. Naipaul, whom karma has punished by awarding each a Nobel Prize for literature. This sounds sociopathic. Yet an artistic career is an act of arrogance. You proclaim that strangers should attend to your thoughts, to your creative bliss, should even pay to witness your efforts – and then revere you after death. I’m embarrassed to characterize my aspirations this way. But what else is it to foist your inner life on the public and hope for applause? When it comes to harm, only gods have gotten more of a pass than artists. Wait a second. Sorry, I’m distracted right now. There’s a noise from a floor below. A boy looks up at the kitchen counter, his pudgy hand thrust skyward, reaching for the unattainable fruit bowl, which contains his favourite work of art: the banana. My son, who came out before the novel did, is 2, while I’m 43 now – about the age of Waugh when he feasted on his children’s treats. I lift a banana from our fruit bowl. I slice it onto a plate. I display the contents to my son. “ ’Nana,” he pleads, pointing at it, at himself. I fetch a spoon, and demonstrate how one rightly consumes the banana: by feeding it to your child. Munching contentedly, he gleams at me, and my eyes gleam back, for I’ve created something so simply, his pleasure. He pauses for breath, glancing at his father – a lesser writer now, but one always supplied with bananas.